How do आप prefer Homer? Do आप think that at the end of the series Homer will be a springfield super-hero? Do आप prefer Homer drunk and wasted या him angry and strangling Bart? 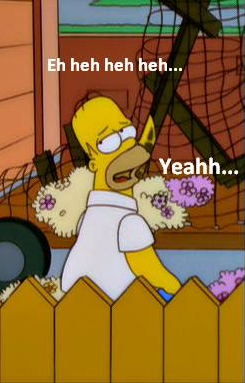 What do आप like most about Homer Simpson? Post the funniest Homer pic आप can find. A flash game of Homer, आप have to feed him. But he ends up exploding. Who is Homer talking to? बीयर, बियर + free डोनट in NY!